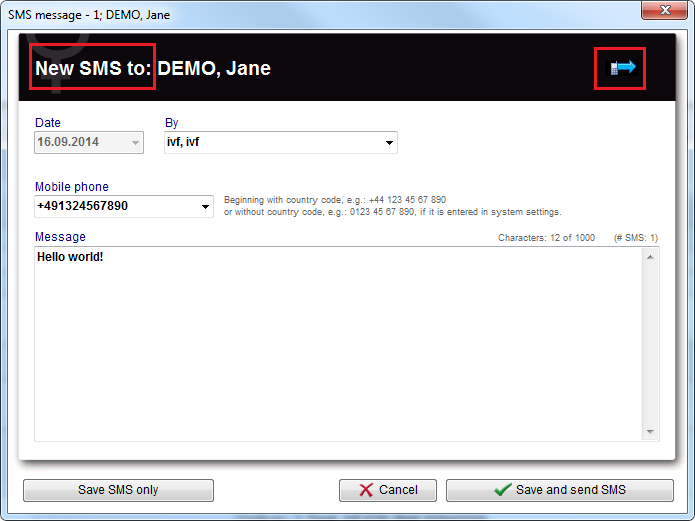 In order to use the SMS interface, special configuration is required. More details you can find here. The SMS interface can be used in both MedITEX IVF and MedITEX Scheduler. It can be also found as a button in a window where all medication from one cycle are listed. It can be also used for sending details about appoitnments to a patient. Saves the SMS without sending. Save and send the SMS. The current date is automatically inserted. Choose the person sending the SMS. Insert the mobile phone number of the patient. If the patient has a mobile phone number in the system, it will be automatically added. Pay attention to the phone number format. It has to begin with international country calling code. The code can be added manually by the user or automatically by MedITEX if the code is entered in SMS settings. The text field for your message. Right-click in this field gives the possibility to use existing and create new SMS templates in the form of textblocks. 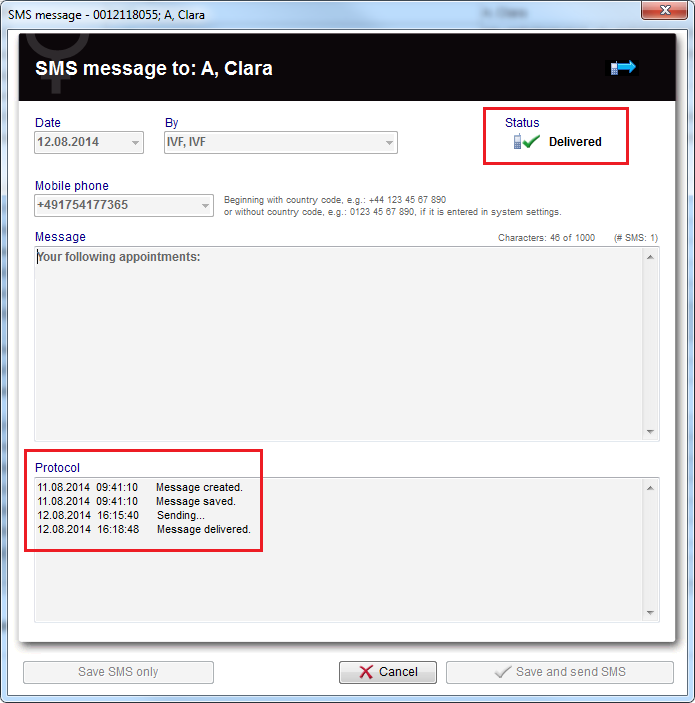 SMS text blocks created in MedITEX IVF are also available in SMS windows in MedITEX Scheduler (and Vice Versa). In this little box above the text box, you can see how many characters you have available. 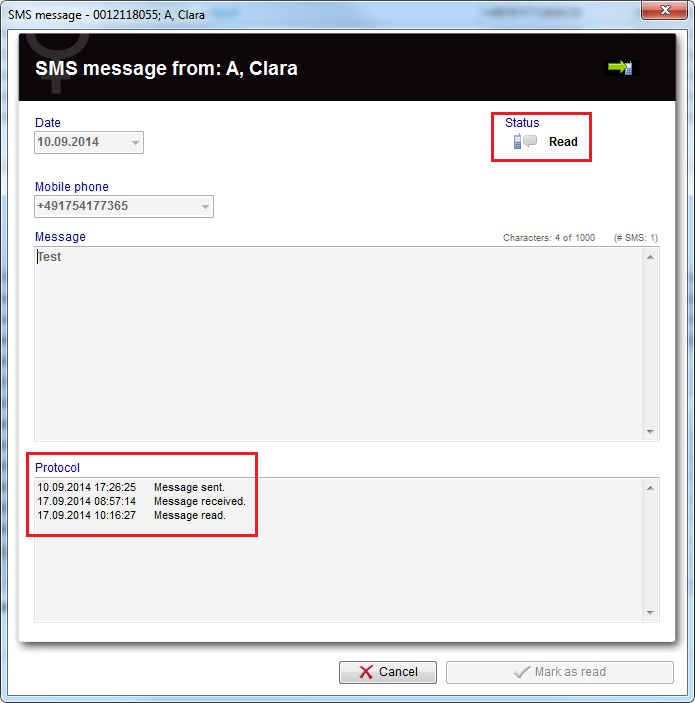 There are 6 possible statuses of a sent SMS message. In the field Protocol you can see the exact date and time when the message was created, saved, submitted etc. 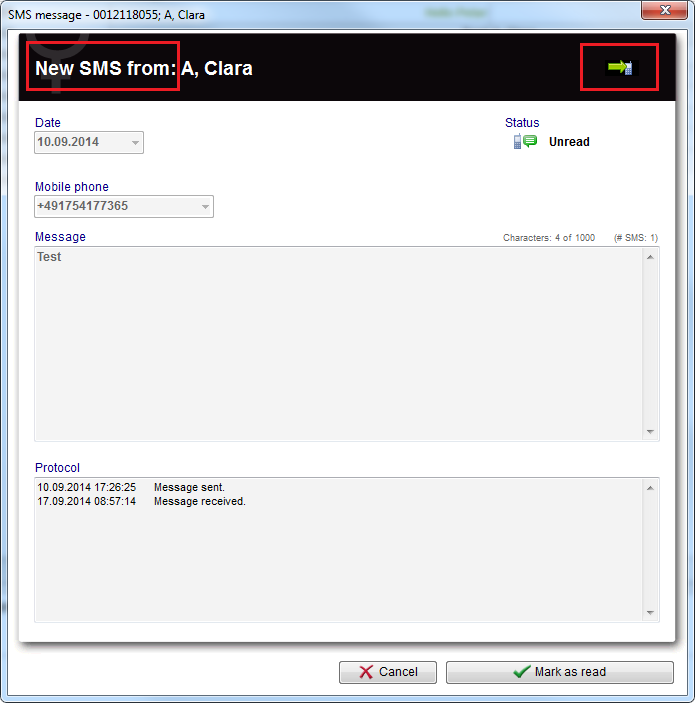 There are 2 possible statuses of a received SMS message. In the field Protocol you can see the exact date and time when the message was sent by a patient, received by MedITEX and read by user. Click here to read more about the Communication overview. This page was last modified on 19 September 2014, at 10:46.